Have you been getting out of breath while you have been shoveling? Perhaps you need to start a cardio workout. Once you begin exercising, you will find that a full-body workout can really pay off. Apart from burning calories, lowering blood pressure, improving your mood, and increasing your metabolic rate, exercise also keeps your heart healthy. In fact, those who do not work out are almost twice as likely to get heart disease as compared to those who are living an active and healthy lifestyle. But you can eliminate this risk factor by maintaining a regular exercise routine along with a balanced diet. Exercise makes your muscles stronger and your heart is a muscle that can get healthier and stronger by eliminating your sedentary lifestyle. With cardiovascular exercises, your body will move fast enough to raise your heart rate, which exercises your cardiac muscles. 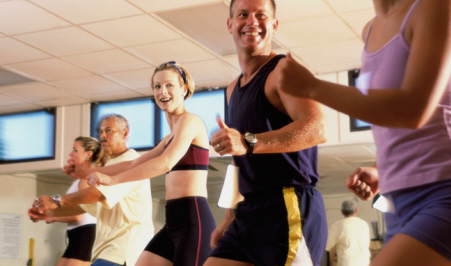 It is never too late to start your pursuit of fitness and health with cardiovascular exercise in Canton, MA. As it strengthens your heart and lungs, it also improves your blood circulation which helps your body to distribute nutrients and make use of oxygen better. But, in addition, a high intensity workout allows you to burn extra calories in less time. This is why it is also a great way to lose weight. For more details, contact Answer is Fitness.